See a satellite view of campus. 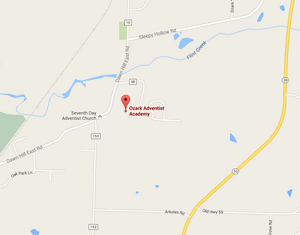 Ozark Adventist Academy is looking for a part-time Assistant Chaplain for the 2019-2020 school year. The preferred applicant will have a passion for leading young people to Christ and work with the campus Chaplain to implement campus religious programs. Ozark Adventist Academy is a Christian co-educational college preparatory boarding school dedicated to educational excellence in a Christ-centered environment. Located in the foothills of the beautiful Ozark Mountains of Northwest Arkansas, this Seventh-day Adventist boarding high school offers a warm, friendly, and inviting atmosphere. Our mission is to educate students to lead a life of significance by discovering a love for God, developing respect for self and others, and acquiring skills for active Christian living. To apply for this position, please contact: Mike Dale, Principal. Ozark Adventist Academy is seeking an Athletic Director for the 2019-2020 school year. The ideal candidate will be committed to developing qualities of teamwork, sportsmanship and sharing Christ with the students. They will work well as a professional team member, communicate effectively with students, parents and staff and seek to provide a Christ-like, safe learning environment. Ozark Adventist Academy is a Christian, co-educational college preparatory boarding school dedicated to educational excellence in a Christ-centered environment. Located in the foothills of the beautiful Ozark Mountains of Northwest Arkansas, this Seventh-day Adventist boarding high school offers a warm, friendly, and inviting atmosphere. Our mission is educating students to lead a life of significance by discovering a love for God, developing respect for self and others, and acquiring skills for active Christian living. Teaching responsibilities include Health and P.E. Coaching will involve intramurals, gymnastics, varsity basketball, volleyball, and soccer. Experience in coaching a strong gymnastics program is preferred. Qualified Candidates will be NAD certified in P.E. and Health. 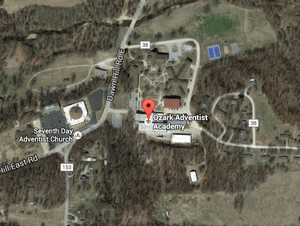 Ozark Adventist Academy is seeking a Head Boys Dean for the 2019-2020 school year. The ideal candidate will have a passion for leading young people into a saving relationship with Christ and creating a caring, nurturing environment that leads to student success in a dorm setting. Preference will be given to applicants who have a Bachelor's degree in Education, NAD certification, and experience working with young people in a dorm setting. Applicants should also be familiar with the operation and day-to-day function of a boarding academy and be committed to modeling a Christian lifestyle.